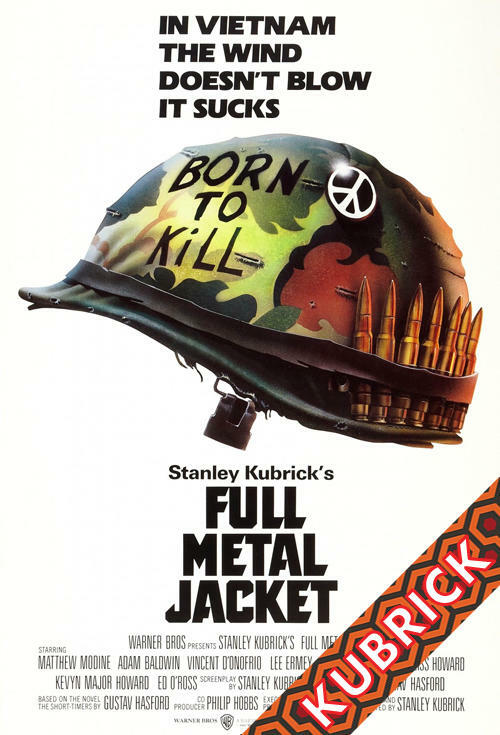 Stanley Kubrick's return to filmmaking after a seven-year hiatus, this film crystallizes the experience of the Vietnam War by concentrating on a group of raw Marine volunteers. Based on Gustav Hasford's novel The Short Timers, the film's first half details the volunteers' harrowing boot-camp training under the profane, power-saw guidance of drill instructor Sgt. Hartman (R. Lee Ermey, a real-life drill instructor whose performance is one of the most terrifyingly realistic on record). Part two takes place in Nam, as seen through the eyes of the now thoroughly indoctrinated marines. Ironically, Full Metal Jacket was filmed almost entirely in England.